Prancie and I want to thank all of you who voted for Prancie’s Prayer yesterday. Also thanks to those that shared on social media. Your help is greatly appreciated. Voting goes until August 21st so we won’t know the results for quite some time. 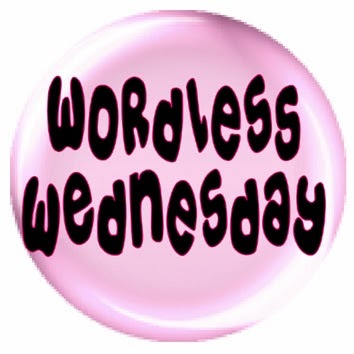 This entry was posted in Blog Hops, Wordless Wednesday and tagged Comedy Plus Wordless Wednesday, Prancie, Prancie's Prayer, Wordless Wednesday by pilch92. Bookmark the permalink. We have our paws crossed for you! I hope you guys win! That is a really long wait…but we hope your wait will be rewarded! We wish you tons of luck in the contest – I’m SURE you got lotsa votes because we ALL loved the book and voted!! Keep us posted! Too bad we can’t vote more than once. Hope you all win. Have a really good day. Wishing you good luck. Sending high fives and fist bumps! Prancie is such a pretty girl. I enjoy the book too. I’m terrible at reviews aren’t I. Yes I am. I’ll ask all of my friends to vote too! Thank you. 🙂 We hope you have a good week too. We sure hope you win!! There were errors when trying to vote, but I think my vote went through. I hope you will win! We just checked out your other post and voted! We’re embarassed our mom hasn’t finished the review yet. Don’t worry, we’re bugging her. Well, i think i voted, i know i tried and i hope it worked. Good luck, Prancie! We’re crossing our paws for you to win! I hope you guys win! Our paws are crossed! Wishing you all the votes, Prancie! We voted. Best of luck! What a sweet babi, best of luck to you. Don’t tell the others but gingers are my favorites.